It presents proven processes and methodologies for helping leaders turn these challenges into opportunities for peak performance. 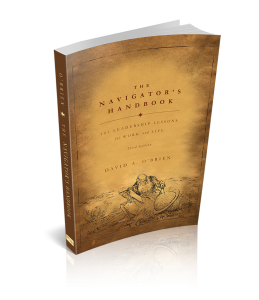 Full of fresh ideas, interesting stories, and first-hand accounts from the corner office, The Navigator’s Handbook is an action-oriented and practical guide for helping leaders bring out the best in themselves and their teams. It provides proven processes and methodologies for helping leaders at all levels to expand their influence and impact. 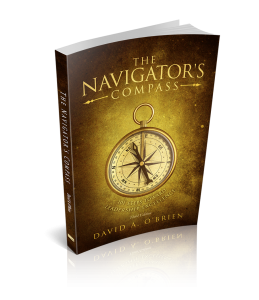 The Navigator’s Compass is an action-oriented and practical guide for helping leaders bring out the best in themselves and their teams. Check out David’s Books on amazon today. 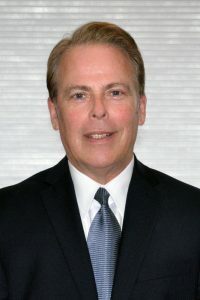 David A. O’Brien is President of WorkChoice Solutions, LLC, a nationally recognized provider of leadership and team effectiveness consulting services. Prior to launching WorkChoice Solutions in 2000, David was a Senior Vice President and General Manager with a global provider of workforce management services. His corporate consulting career spans over twenty years and includes key leadership roles within a variety of industries including Aerospace, Healthcare, and Financial Services. His clients include such market leaders as Aetna, Day Pitney, ESPN, KPMG, Mass Mutual, Otis Elevator, Peoples Bank, The Hartford, U.S. Airways and United Technologies. He also works with many small and emerging market leaders to bring about lasting organizational and leadership transformation. Visit workchoicesolutions.com for more information.